Recently I have been having a love affair with cauliflower rice, so when I spotted a recipe for cauliflower crust pizza I was eager to try it out! I was not disappointed, it was very satisfying. You would not even notice the difference. 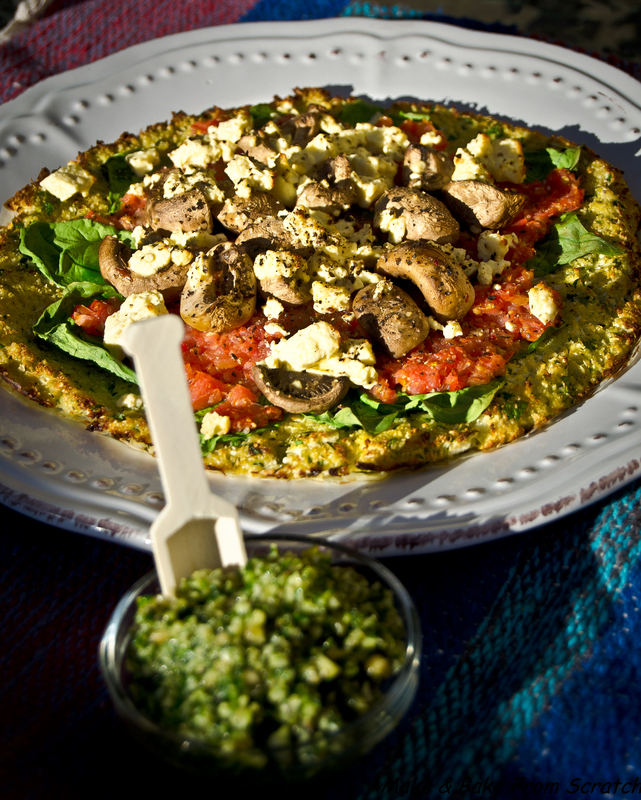 Cauliflower crust pizza creates a thin base and can be enjoyed with any topping you desire. 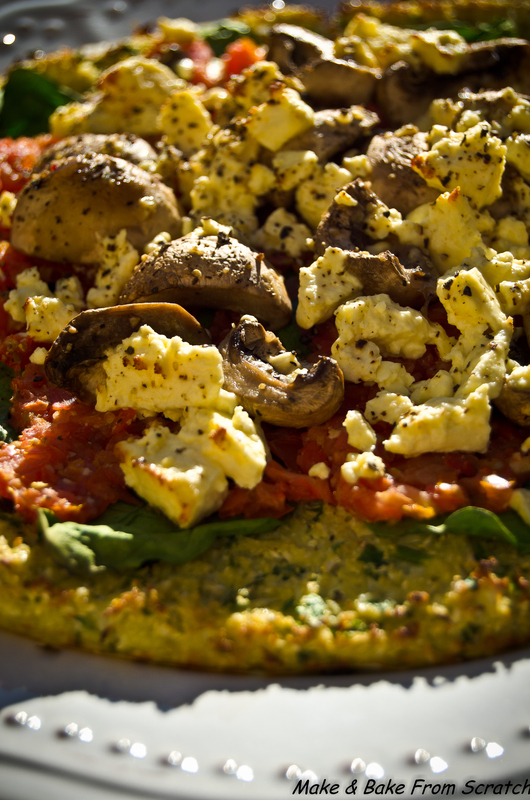 Cauliflower crust pizza is low carb and it won’t leave you feeling bloated. It is also gluten-free. Cauliflower is great for your digestion,weight loss, cancer prevention, heart health, packed with B vitamins and an anti-inflammatory. I served sweet potato wedges with the cauliflower crust pizza, homemade pesto and homemade guacamole. If you really want to chill add a glass of your favourite wine. Go on treat yourself, you won’t be disappointed! You will need a baking tray with holes on the bottom to allow air to circulate and cook the crust thoroughly. Spatula to flatten and round the mixture. Baking paper to line the tray. Put the cauliflower in a food processor and blend it till it resembles rice. In a large bowl mix all the ingredients. The mixture will not have a doughy texture so don’t worry. Scoop out enough mixture for one pizza onto the tray. Smooth out the mixture with your spatula ½ inch thick. Place in the oven at 200 until golden brown. I took it out of the oven after 20 minutes, removed the grease proof paper, flipped it over and put it back into the oven for another 5 minutes to give it a crispy base. I blended a Punnet of Cherry Tomatoes, added half clove of Garlic, Pink Rock Salt and Pepper. You can use tinned tomatoes as an alternative. You can add any topping you desire. I added Spinach, Mushroom and Feta. I pre cooked the mushrooms in a little coconut oil.